Symptoms of depression can be mild to severe and can range greatly from person to person. 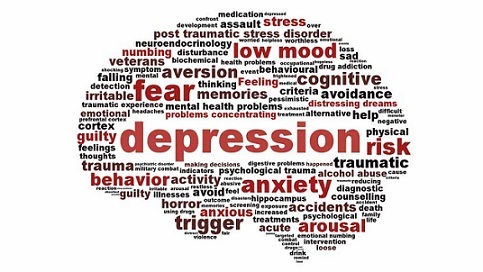 However, symptoms are important because they help with diagnosing depression and are used to determine the best treatment options for each unique individual. 1.4 Can the Signs and Symptoms of Depression Vary? A patient must have at least five of the symptoms shown above to be diagnosed with depression. These symptoms can last for a very long period of time, sometimes even years. Depression effects the lives of those who suffer from it and it can interfere with social relationships, making it difficult to maintain relationships and interact with others. Some symptoms can be very disabling and interfere with the ability to function. In severe cases, people may find it difficult to eat, get out of bed, and maintain hygiene. Those who suffer from depression often experience episodes, or time periods when symptoms appear. These episodes can be recurrent, longstanding, or chronic, and can feel as though they will never subside. Episodes can be brought on by a specific event or simply occur randomly. Symptoms of depression can be either psychological or behavioral. After reviewing the signs symptoms, patient history, and family history, the medical professional may continue with lab tests, which are used to rule out another physical condition that may be causing the signs of depression. Additionally, it’s important that the patient inform the professional of any medications they are taking. In addition to behavioral and psychological symptoms, those who suffer from depression can also experience psychotic symptoms, typically in very severe cases. The most common psychotic symptoms of depression are delusions and hallucinations. These are most often linked to the thoughts and feelings of the individual, in some way. For example, paranoia and hearing voices could occur if one has committed an unspeakable crime. Delusions and hallucinations can feel real to the individual experiencing them, even to the extent that the individual does not understand that they are symptoms of depression. This can be extremely frightening. Therefore, it is important to seek professional help and support if experiencing these symptoms. Psychotic symptoms can often lead to new diagnosis, but this is not always the case. Therefore, it is important to consult a medical professional about such events. They will help to determine the right treatment and offer the support needed. Can the Signs and Symptoms of Depression Vary? Symptoms of depression can vary based on numerous factors, such as age and gender. Depression in men. Men diagnosed with depression are less likely to acknowledge the feelings of hopelessness and self loathing than women. Men usually base their symptoms on irritability, fatigue, sleep problems, and loss of interest in both hobbies and work. Additionally, they are more likely to experience aggression, reckless behavior, anger, and substance abuse. Depression in women. Women who are depressed are more likely to experience feelings of guilt, overeating, excessive sleeping, and weight gain when compared to men. Symptoms of depression can worsen due to hormonal changes during menstruation, menopause, and pregnancy. Up to 1 in 7 women experience symptoms of depression after childbirth. This is also referred to as postpartum depression. Depression in older adults. When suffering from depression, older adults often suffer more from physical symptoms rather than emotional ones. 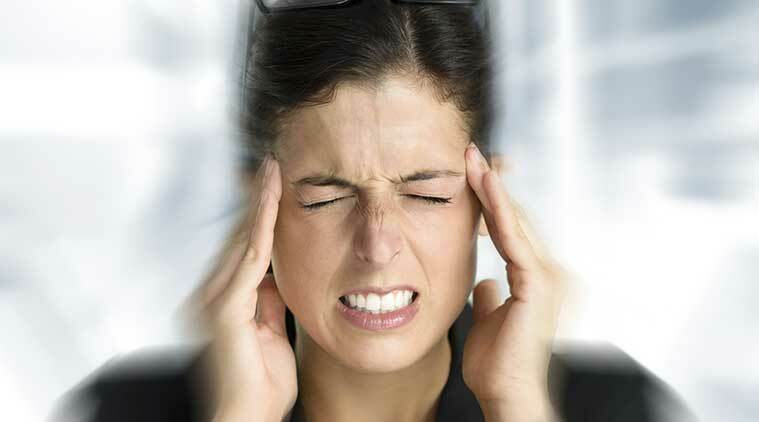 The most common symptoms relate to things like unexplained pains and aches, fatigue, and problems with memory. Older adults are more likely to neglect their appearance and stop taking the recommended medications as a result of depression. Depression in teens. Irritability, agitation, and anger are most noticeable when it comes to teens suffering from depression. Teens often complain of stomachaches, headaches, or similar physical pains when depressed. Postpartum depression develops after childbirth, is often characterized by loss of contact with reality, and can be very severe. Women who suffer from this disorder are at a higher risk of suicide and infanticide. When people feel low and depressed, they may use self-harming behaviors to cope with these feelings. If this is the case with someone you know, you should seek help immediately. The most common way to solve this is by talking about it. Sometimes, treating one of the two conditions can improve the other also, but in most cases., two treatments are recommended (one for anxiety and one for depression). If you are experiencing any of the common symptoms of depression, you should discuss this with your medical provider. After thoroughly considering your signs and symptoms, medical professionals can provide treatment that is effective and alleviate the symptoms you are facing.